JPEG Compressor allows you to resize, compress and edit digital photos in JPEG, the most popular digital photo format. 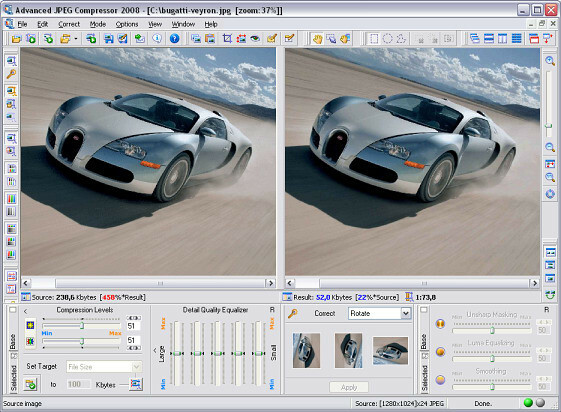 Our JPEG Compressor contains very powerful JPEG compression engine specially designed to preserve the original picture quality. This unique feature helps you to re-save edited photo without loosing its original quality. JPEG Compressor as a photo editor allows you to resize, rotate, crop, remove red eyes, add watermarks and more.